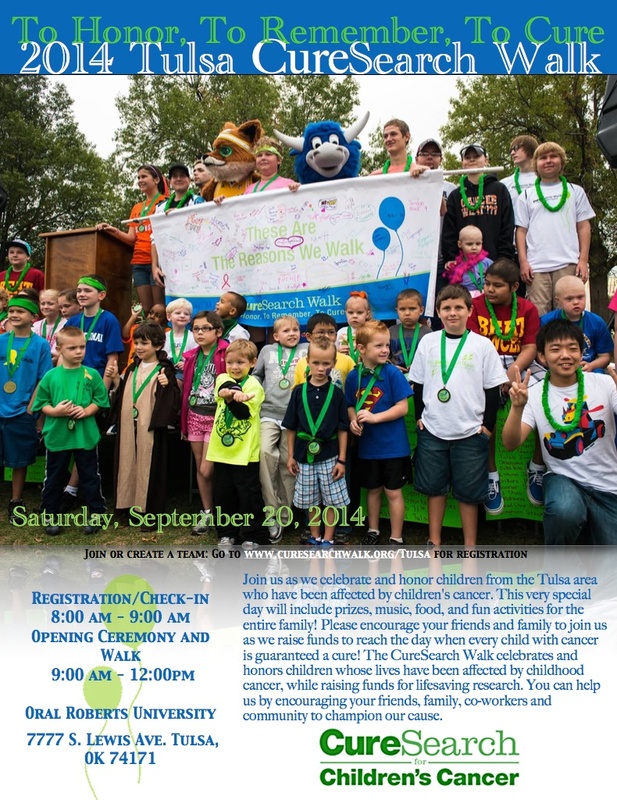 Register your team today at www.curesearchwalk.org/tulsa! This entry was posted in Advocacy, Events, Fundraising by Families Fighting Childhood Cancer. Bookmark the permalink.